In the age of digital disruption, it is becoming more difficult to maintain the continuous efficiency and cost effectiveness of operations. Today’s decision makers and system owners need better foresights to confidently respond to risks and clearly understand which (and when) preventive and opportunistic actions should be taken. 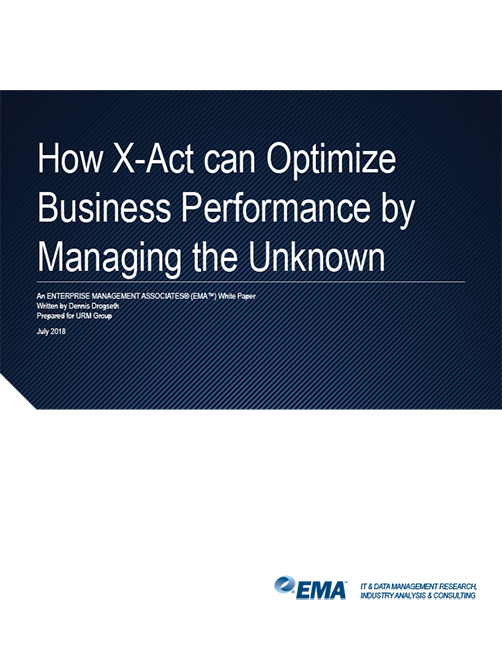 This report, based in part on X-Act deployment conversations and broader EMA industry research, explains how enterprises use X-Act to optimize business performance and minimize risks across a variety interdependencies, including unexpected factors that turn out to be disruptive and risk-producing.